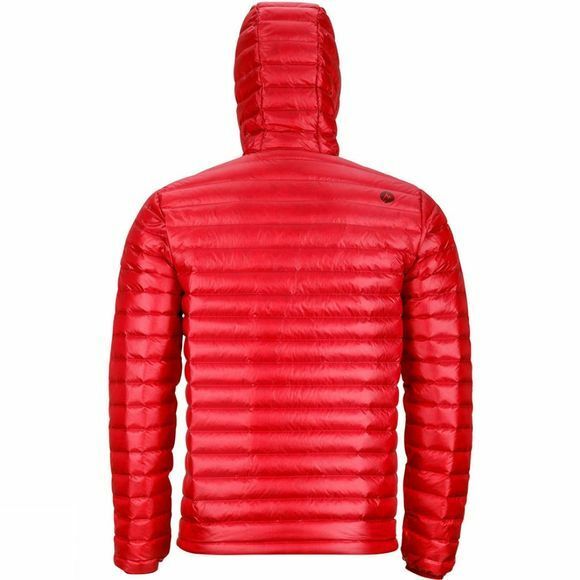 In the Mens Quasar Nova Hoody 800-fill-power goose down from Marmot, there's not a cold spot in sight thanks in part to its smartly woven baffle fabric. Weaving two fabric layers together into a baffled construction eliminates stitching, which alleviates cold spots by holding the down in its proper place and makes this jacket, sans threads, a more durable garment. 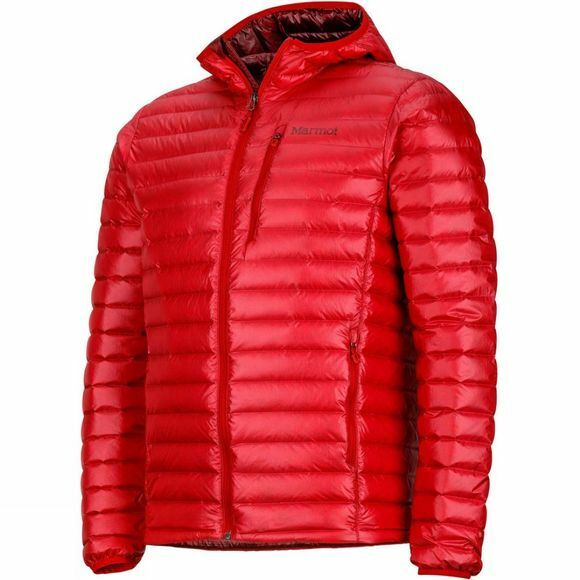 The result is a lightweight, durable alpine ready jacket that delivers a tangible dose of warmth for cold and callous bivvies.